Halloween is fast approaching. Anyway, I have several Halloween-related library events on my calendar this year. So I decided to do some serious digging through our picture book collection for some fresh monster-witch-ghost-skeleton-etc.-stories to get my storytime juices flowing. In the spirit of this glorious blogging tradition, I’d like to propose a special #FlannelFriday Round Robin! What makes a story (picture book, song, rhyme, game, etc) flannelizable? If you’d like to participate, click here. Then you can blog/comment/email your findings. I’d like to compile them, so if post a link in my comments section, I’ll add it like we do with the #FFRU. 1) Why did I choose these stories? 2) How (and/or why) did I interpret/adapt the material? And why not just present it as-is? 3) Storytime Triumphs vs. Storytime FAILS! 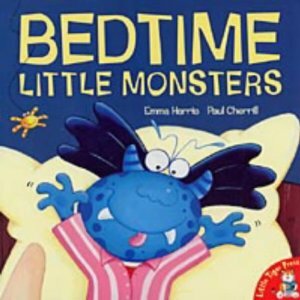 Bedtime Little Monsters by Emma Harris. Scamper, scamper! Crash and bang! And here’s where the fun really gets going: it’s a monster scavenger hunt! 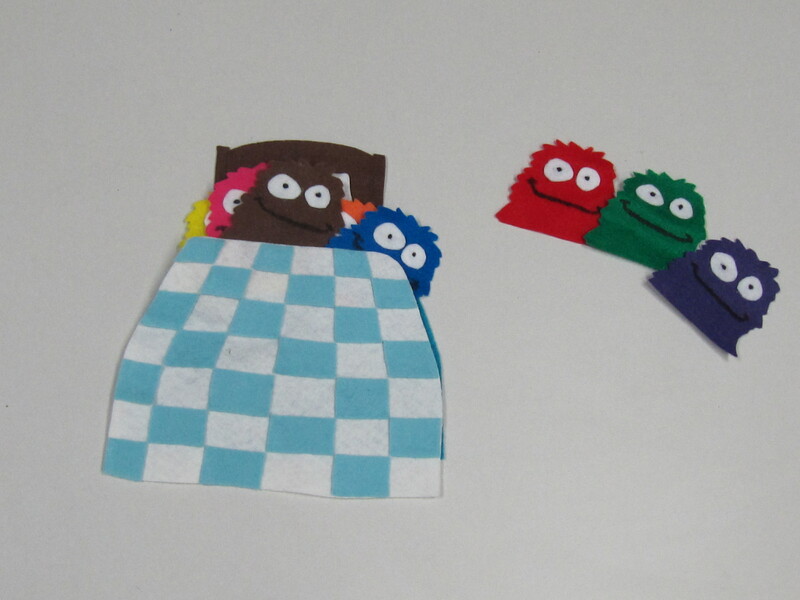 Ask the kids to join in as you go through the house to find little monsters in their hiding spots. When you find one, remove it, and tuck it into the big monster bed. It’s a work in progress. 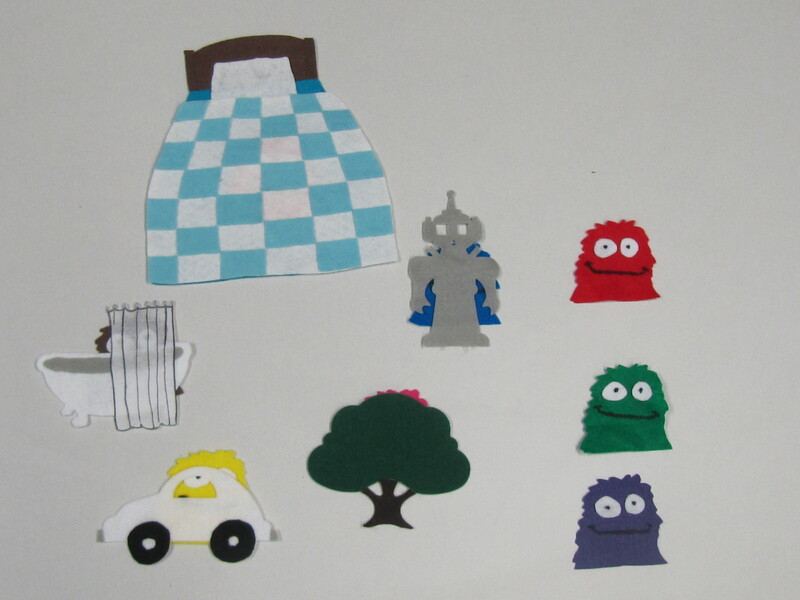 Any ideas what to do with the red, green and blue monsters? 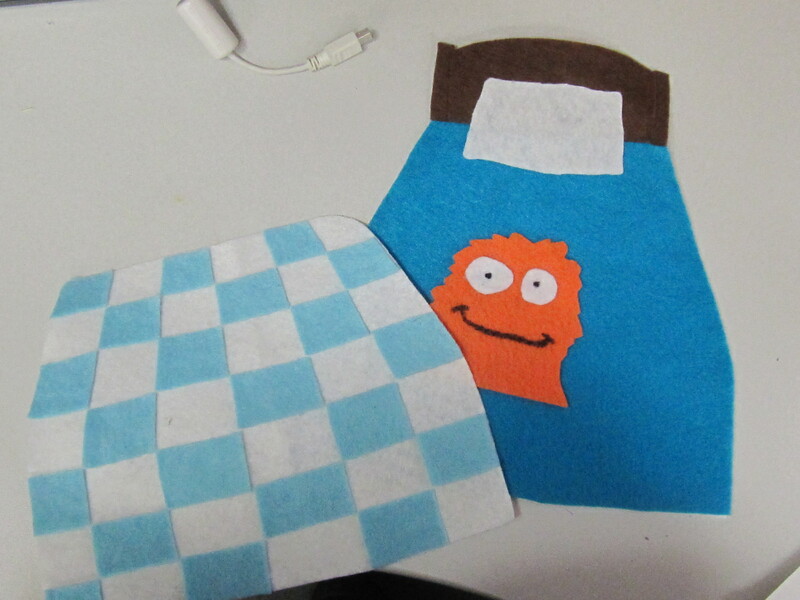 I changed the hiding places because the ones in the books were a little hard to flannelize. Any ideas? Check out the roundup and the pinterest. you are awesome. I’m finishing up, and i’ll post first thing tomorrow.